Can the FoodSaver Really Save you Money? We used to own an off-brand vacuum sealer, but honestly, I never took it out of the box. I wasn't convinced that it would be easy to use OR could save me money, so soon after I bought it, I returned it. 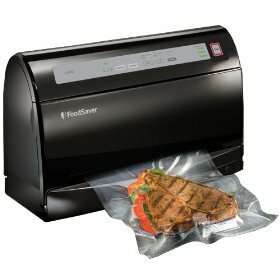 This past week, however, I was given the chance to take the FoodSaver Challenge with a new vacuum sealer from FoodSaver to see just how much money I could save by using it to store food more efficiently. Have you used the FoodSaver? Would you like to take the challenge? SmartSource is now offering a coupon for $10 off a FoodSaver system. (Look for "FoodSaver" from the brand name drop-down box to find the coupon.) You can get saving even before you use it! And check out the selection of FoodSaver products at Walmart and Walmart.com.